We now live in a world where we use social media to chronicle our lives. Facebook is one of the sites where you store a lot of information, memories, and files. Ensuring that you have full control over your Facebook account is a must if you want to keep your data safe and secure. Aside from using complex passwords to protect your account against unauthorized entries, you should also have a backup plan in case you get locked out of your account. Trusted Contacts on Facebook is a good way to regain access to your account. 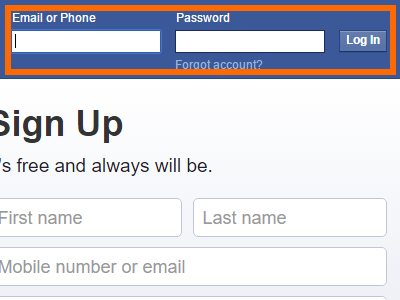 This tutorial explains all the steps you need to set up the Trusted Contacts feature on Facebook. What is Trusted Contacts on Facebook? Trusted Contacts is a feature that lets you ask for help from pre-identified trusted friends whenever you have trouble accessing your account. From the feature’s name, you need to identify trusted friends or family members whom you can contact and ask for help in recovering your Facebook account. Once the feature is activated, Facebook will contact your Trusted Contacts and will provide information about how you can access your account. You can assign three to five Trusted Contacts. Whom Should I Choose as Trusted Contacts? ● Trustworthiness: Assigning Trusted Contacts is like giving those individuals total access to your Facebook account. Make sure that the friends that you choose are indeed your friends and that you are sure that they will not do more harm than good to your account. ● Real-life contact: Make sure that you have ways of contacting your trusted Facebook friends other than by using Facebook. Keep an updated list of cellphone numbers, landline phone numbers, email addresses, and social media accounts of your Trusted Contacts so that you can get in touch with them in the event that you need their help. ● The more the better: Facebook allows you to add up to five friends to be part of your trusted circle. It is advisable that you assign five friends so that there will be more people to help you recover your account. 2.From Home, click the drop-down menu bar to view the Facebook menu. 3.Click on Settings to open up your Facebook settings. 4.From Settings, click on Security and Login. 5.Go to Setting Up Security, and click on the Edit button for the option that says Choose 3 to 5 friends to contact if get locked out. 6.The option will expand. Click the Choose Friends button. 7.A pop up box will display some information about the feature. Click Choose Trusted Contacts button. 8.Type in the name of a trusted friend in the name box, and click the name friend. 9.Repeat Step 8 until you have chosen three friends to five friends. 11.Your trusted friends will now appear as your Trusted Contacts. Facebook will send them a code if you are locked out of your account. You are done. Trusted Contacts is just one of the many ways to keep your Facebook account safe and secure. If you have questions with any of the information provided above, let us know in the comments section.